What is Beat Making Lab? Beat Making Lab is an electronic music studio small enough to fit in a backpack. We collaborate with communities all around the world; donating laptops, microphones and software to community centers and conducting two-week residencies with talented youth. We film workshops and shoot music videos as part of a weekly web-series with PBS Digital Studios. Our goals include cultural exchange, innovative collaboration, and social/entrepreneurial impact. Production funding for the Beat Making Lab web-series is provided, in part, by PBS Digital Studios. In June 2012, we set up our first international lab in the Democratic Republic of Congo, partnering with Yole!Africa in Goma to train over 20 young people in music production and entrepreneurship. We reached thousands more through public performances and international media coverage as part of Yole’s annual SKIFF Festival (Salaam Kivu International Film Festival). Music is a tool to build dialogue, amplify voice and strengthen solidarity. As hip-hop and electronic music have developed into global culture, there is a growing need for resources, education and software to help youth express themselves in these genres. Beat Making Lab does not require students to be able to read standard music notation, or play a traditional instrument. The participants learn the techniques of beat making through composition, sampling, and songwriting on the most powerful instrument of the 21st century: a laptop. The results are computer-based electronic dance music and hip-hop songs. This approach and pedagogy radically broadens the population that can be served through modern music education. Beat Making Lab started as an innovative course on music production and entrepreneurship taught in the Music Department at the University of North Carolina at Chapel Hill, founded by producer/DJ Stephen Levitin (aka Apple Juice Kid) and Dr. Mark Katz (author of Groove Music: The Art and Culture of the Hip Hop DJ) in 2011. Professor/emcee Pierce Freelon joined Apple Juice Kid to co-teach the popular class in 2012, and was instrumental in transforming the curriculum for implementation in a community setting. Together, Freelon and Apple Juice Kid formed ARTVSM LLC – a company that merges the worlds of art and activism, “by any medium necessary” – to produce community-based Beat Making Lab projects. Their first grassroots campaign crowd-sourced funds to donate training and equipment to Yole!Africa. 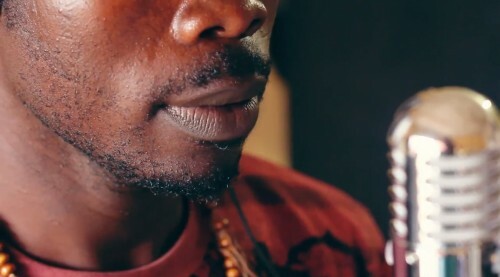 These efforts led to a collaboration with PBS Digital Studios – which airs webisodes documenting Beat Making Labs internationally (in the Democratic Republic of Congo, Panama, Senegal, Fiji and Ethiopia, each Wednesday on the Beat Making Lab youtube channel). In 2014, Apple Juice Kid left ARTVSM, LLC and began producing Beat Making Lab projects independently. Yole!Africa‘s goal is to promote peace through art and culture as well as to operate as a platform for exchange where young people from different backgrounds and social status can come together to express themselves through their talents. For more information: contact@yoleafrica.org (FR, SWAHILI) or allason@yoleafrica.org (ENG).